When women are pregnant, they often suffer a variety of symptoms, including nausea. 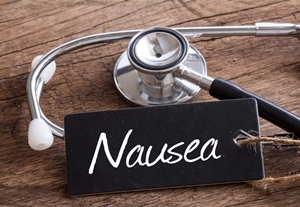 Sometimes called “morning sickness,” this nausea does not always occur during the morning hours and, for some women, it can last all day long. One drug used to treat nausea during pregnancy is Zofran, manufactured by GlaxoSmithKline. Zofran blocks chemical action in the body that triggers nausea and is prescribed by doctors to prevent nausea and vomiting caused by some surgeries, as well as chemotherapy and radiation. It has also been useful when treating gastroenteritis. However, some doctors have prescribed Zofran “off-label” to treat these symptoms during pregnancy. Zofran is prescribed to approximately one million pregnant women in the U.S. each year to relieve morning sickness. But the Food and Drug Administration (FDA) has received hundreds of reports claiming the drug causes severe birth defects, and many lawsuits have been filed. Those who filed lawsuits against GlaxoSmithKline allege that the manufacturer had no “clinical knowledge about whether or not the medication was safe to use during pregnancy.” Additionally, it’s alleged that the drug was intentionally marketed to pregnant women as a safe and effective way to treat nausea associated with pregnancy. The most common Zofran birth defect reported to the FDA was heart deformities followed by respiratory problems, including pulmonary hypoplasia—incomplete development of the lungs. If your child has a birth defect that you believe was caused by your use of Zofran during pregnancy, you may be eligible for compensation. Contact the Holton Law Firm at 888-443-4387 to seek advice on how to take legal action. The case against GlaxoSmithKline does have time limitations, so call us soon as possible to discuss your situation.